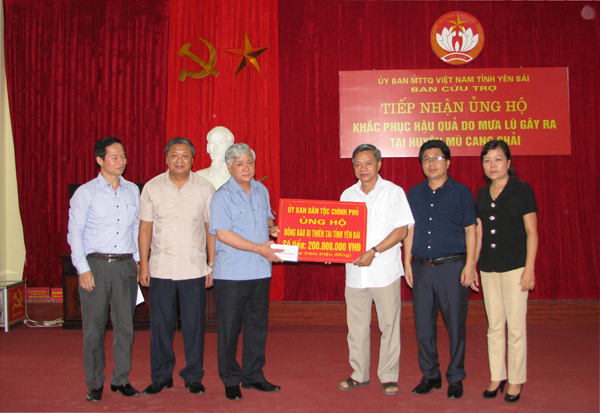 During the visit and working session in Bac Kan on July 7, the CPV General Secretary Nguyen Phu Trong and the delegation had visited Phu Thong martyr cemetery before working at Si Binh commune, Bach Thong district. 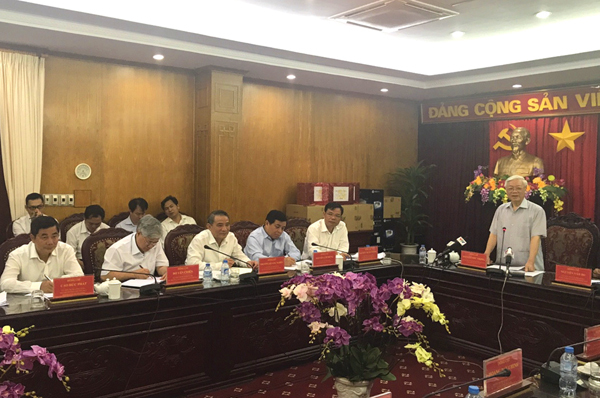 The Minister, Chairman of the Committee Do Van Chien has joined the delegation accompanied CPV General Secretary Nguyen Phu Trong worked at Bac Kan province. At the working with Si Binh commune, the people representative was warmly welcome General Secretary of the Party Central Committee to visit and work. 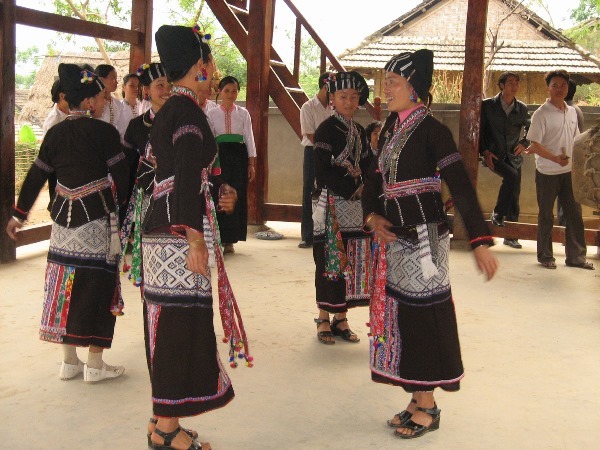 People at Si Binh commune thanked the Party, Government for passing many programs, investment projects in traffic, infrastructures in rural areas, culture, public health, education to make advantages for people in developing the economy, decreasing poverty level in order to have a better life. 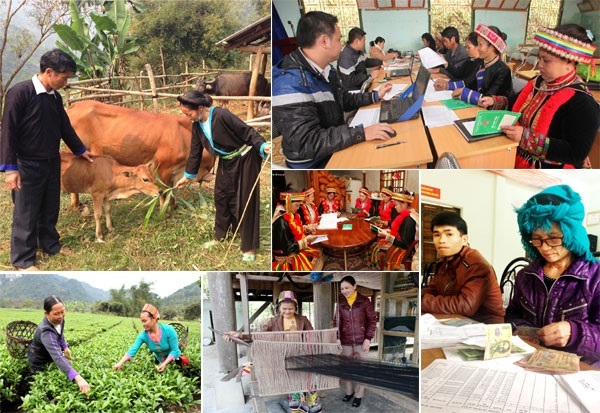 The people hoped that the Party and Government continue to care about the investment in infrastructure for commune; arrange jobs for graduated students, especially whom have the special enrollment for ethnic minority students. Addressing at the session, CPV General Secretary Nguyen Phu Trong congratulated the results about socio-economic development, the national security; building the Party Committee of Bach Thong district in general and Si Binh commune in particular. He stressed: Inspite of many difficulties, the Party and people of Si Binh commune had concentrated on changing the structure of plants and animals suits with natural conditions, applying science and technology, introducing new varieties into crop. Thanks to these, productivity had been increased; production of crops, cultivation, infrastructures, and roads are improved day by day. The CPV General Secretary hoped that with the support from the Central, local agencies have to promote domestic sources, strongly develop production models suitable to practical conditions, such as the model of planting the plant which is the raw material of cigarette; the model of growing clean vegetables ... to decreasing poverty level, enriching in the hometown and revolutionary of the province. On this occasion, General Secretary Nguyen Phu Trong and the delegation of the Central had also visited and given gifts to the families of Mrs. Nong Thi Mon in Lo Cap village, Mr. Dinh Quang Tu, Nong Duc Phan, in Na Loan village, Si Binh commune is the poor and near poor of the commune; visited and gave gifts to Mr. Ban Van Nhi's family from Dao ethnicity in Na Loan village, which has a model of planting anise costs high income. On that afternoon, CPV General Secretary Nguyen Phu Trong also had a meeting with the Provincial Standing Committee of Bac Kan. At the meeting, Minister, Chairman of the Committee for Ethnic Minorities Do Van Chien gave a speech and commented on the situation on the development of socio-economic of the province, especially are the issues related to the problem about ethnic and ethnic tasks in future.